Can you believe it took me 3 ½ years of living in Florida to finally experience the Florida Keys?? And I call myself an adventurer. That’s messed up, right?! Messed up, but true. It took a visit from my sister (Danae) and brother-in-law (Jacob) to motivate me to cross the Keys off my bucket list. The last few items I crossed off were solo adventures – which I LOVE – but it was a treat sharing a bucket list excursion with two of my favorite people in the whole wide world! Though the trip was quick – we drove down early on a Saturday morning, then back Sunday afternoon – it was just long enough for me to grasp what all the hype is about. I like to think I live in paradise (aka. Sarasota, FL), but the Florida Keys are the real deal. 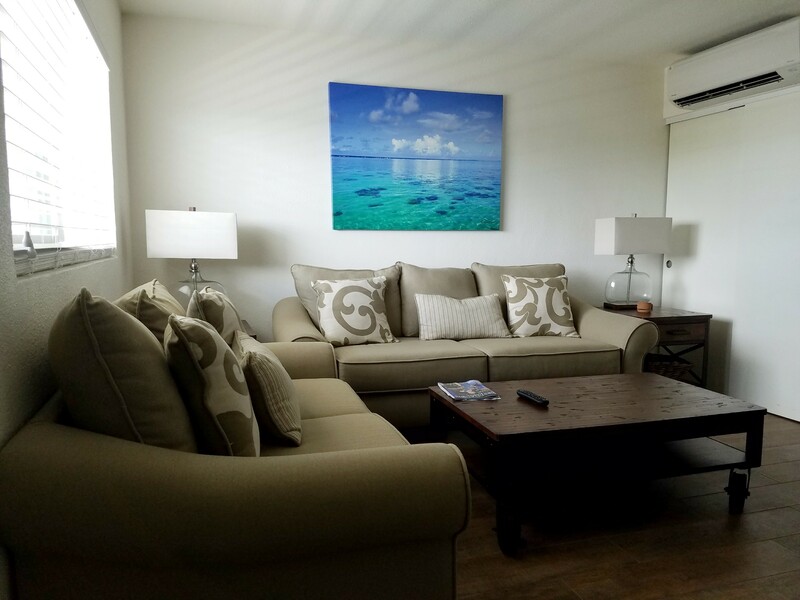 Here’s a look at our two days in real deal paradise. Left Sarasota. Key West or bust! 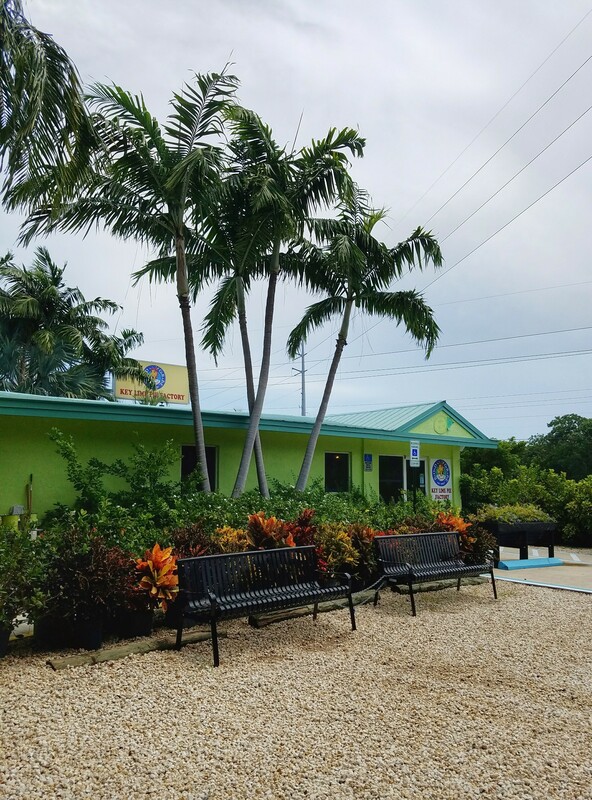 After a few pit stops, we made it to the base of the Keys around noon – just in time for a quick lunch at a random Subway in Key Largo. (We’re a frugal bunch!) Then it was back in the car for the remaining drive to our hotel in Marathon. Since we didn’t stop anywhere between Key Largo and Marathon, I can really only speak to those wide open, overseas highway water views – which thoroughly captured my attention from the backseat! We arrived at Skipjack Resort & Marina too early for check in, so Plan B was shopping! Kmart and Bealls Outlet kept us occupied till just after 3 o’clock, when our room was ready. 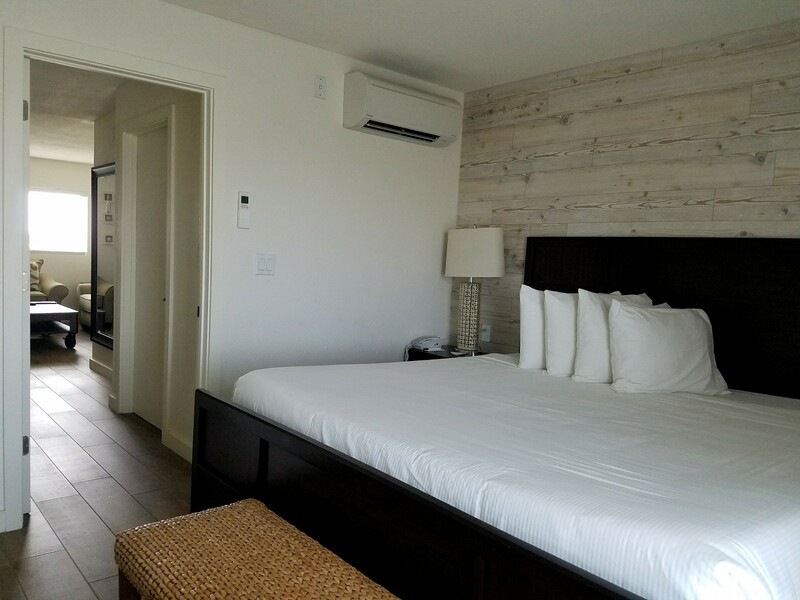 My sis and bro-in-law booked the resort; and, while it looks pretty darn nice on Hotels.com, I have to tell you that in person it’s about twenty times BETTER. Seriously. 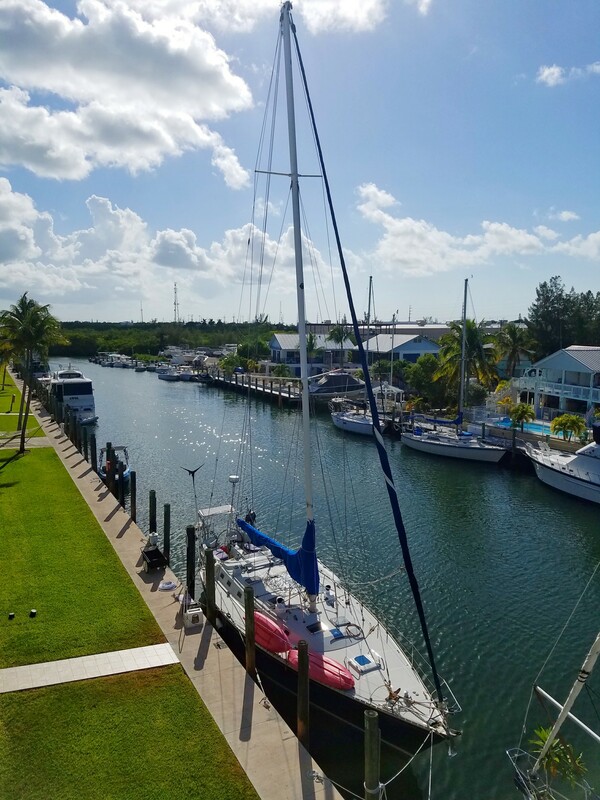 Our suite was on the fourth floor, overlooking an inlet of the marina, and we literally had a sailboat mast right outside our door!! 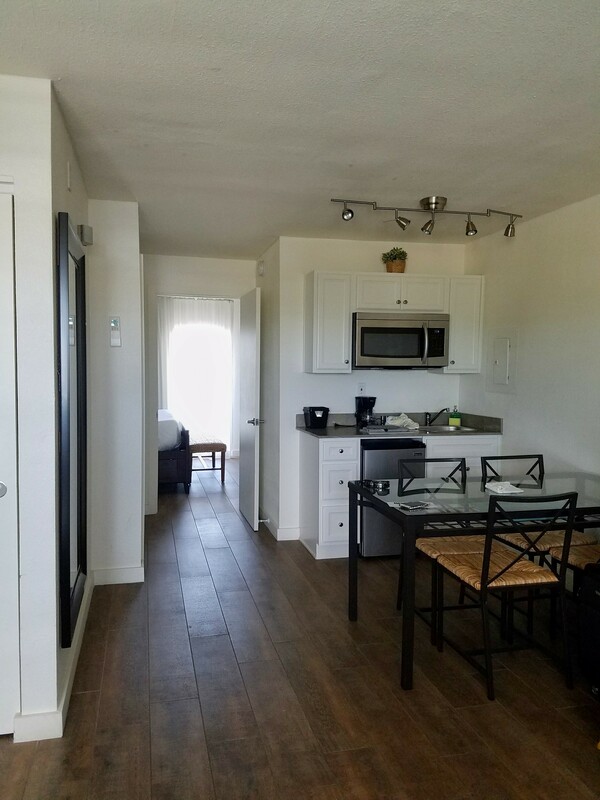 For the location and amenities, Skipjack is incredibly affordable, too. (Check Hotels.com for current rates.) Would I stay there again? Absolutely, yes! 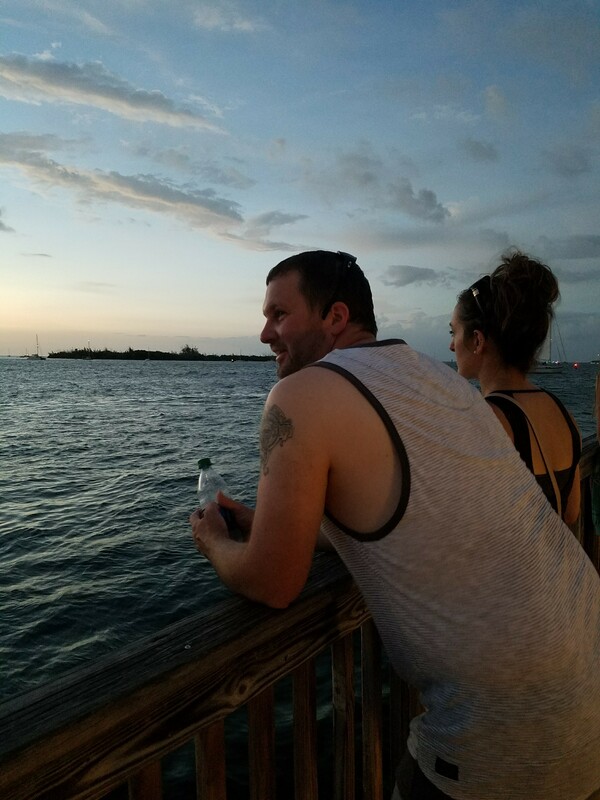 After relaxing in the room for a bit, we continued on to Key West for dinner and sunset. OH. MY. WORD. The water views between Marathon and Key West WOW’d me the entire way! And guys? I loooooove bridges. 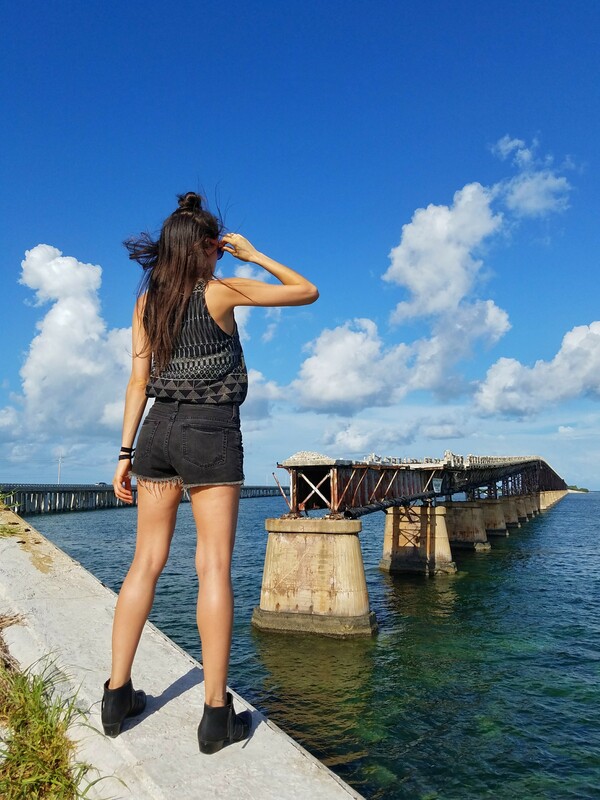 Soooo, spotting the Bahia Honda rail bridge on our left made me quite the giddy girl! 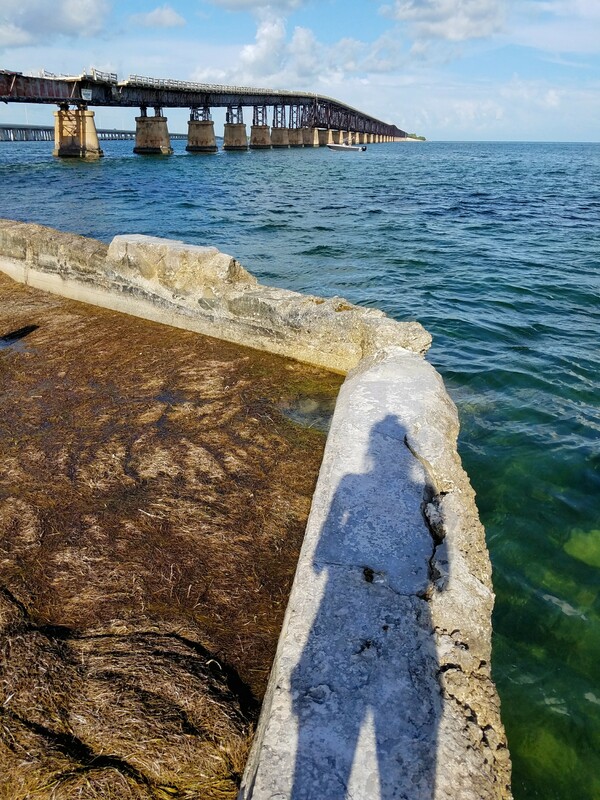 We stopped at Bahia Honda State Park for an up-close view, but opted against paying the park admission fee – gambling that we’d find a free spot to pull off the highway. And, luck was on our side! Just up the road was THE most perfect spot for bridge viewing. We parked, followed a path through some trees, and came out at the edge of a point that once connected to the rail bridge. Adventure me was in her element! 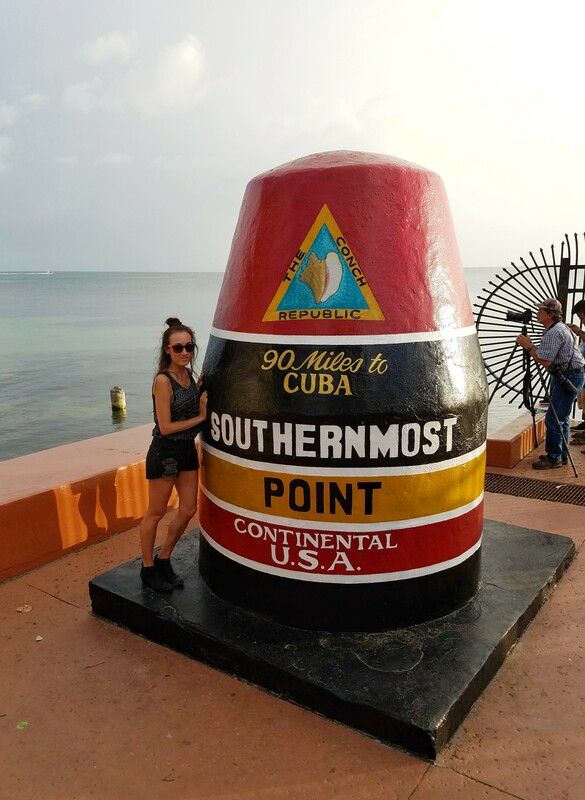 Key West’s laid-back vibe hit me full force as we neared the Southernmost Point (SMP) – you know, that spot where EVERYONE has their photo taken. The palm tree-lined neighborhoods with picket fences and charming, vintage-y architecture greeted us warmly. And, after standing in a not so very short line for that SMP photo op (when in Key West, baby!) we were easily lured down Duval Street, bound for Mallory Square at the other end. The goal: to arrive by sunset. Goal fail. Ha! 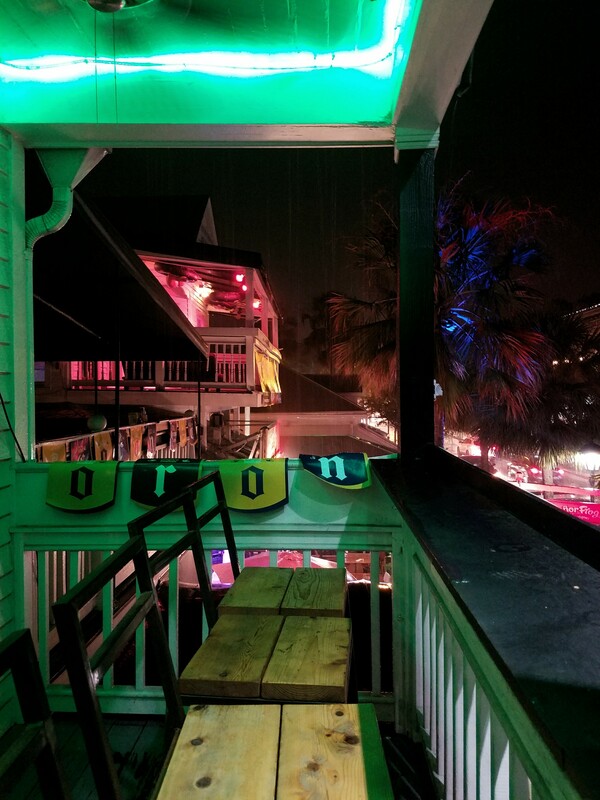 We never did make it all the way to Mallory Square, and only caught the tail end of afterglow because Duval Street is quite the distracting place to walk! 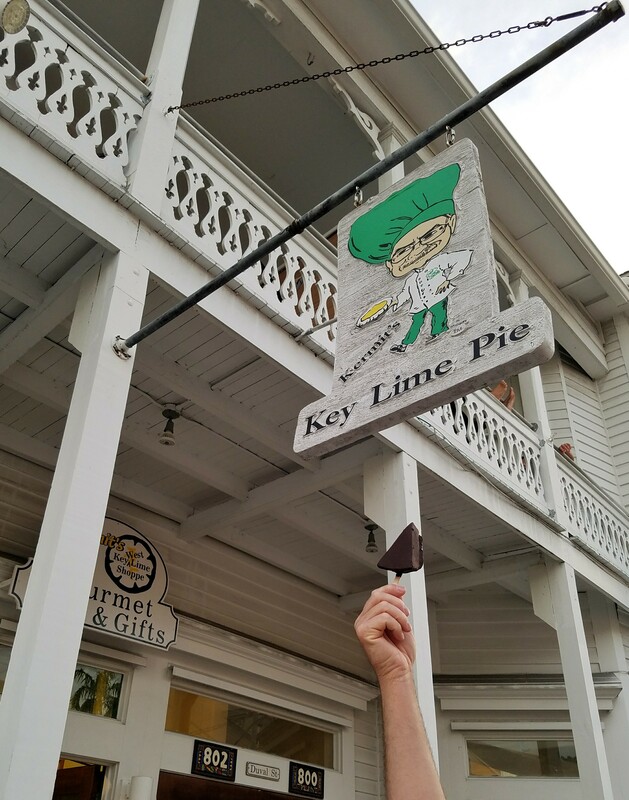 First, we had to stop at Kermit’s Key Lime Shoppe for chocolate-covered, frozen Key lime pie on a stick. The combination of chocolate sweetness with that tang of lime shocked my taste buds in the best way! I expected it to be yummy, but I was not prepared for the flavor punch it delivered. Ka-POW! Popping in and out of several shops, we finally made it to sunset pier at dusk, just in time to watch a passing party boat, as well as several sailboat silhouettes in the distance. Thankfully, the rain stopped by the time we finished eating, so we stayed dry for that drive back to the hotel in Marathon. Checking out as late as possible (11 a.m. on the dot! ), our only plan was to drive back to Sarasota – a good 5 to 6 hour trip. But, we couldn’t leave the Keys without stopping at a few nautically-themed shops along the way. Oh, and more Key lime pie. Had to! 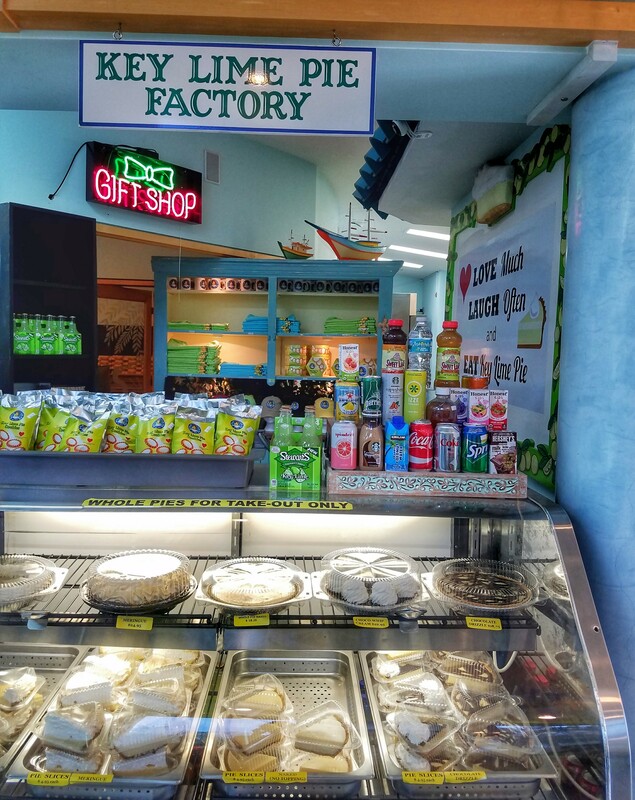 When I spotted the Blonde Giraffe Key Lime Pie Factory in Tavernier, Jacob made an immediate U-turn. He also shared his chocolate-drizzled slice with me (yup, my sis found a good one!) and somehow, it managed to top the pie at Kermit’s in Key West. 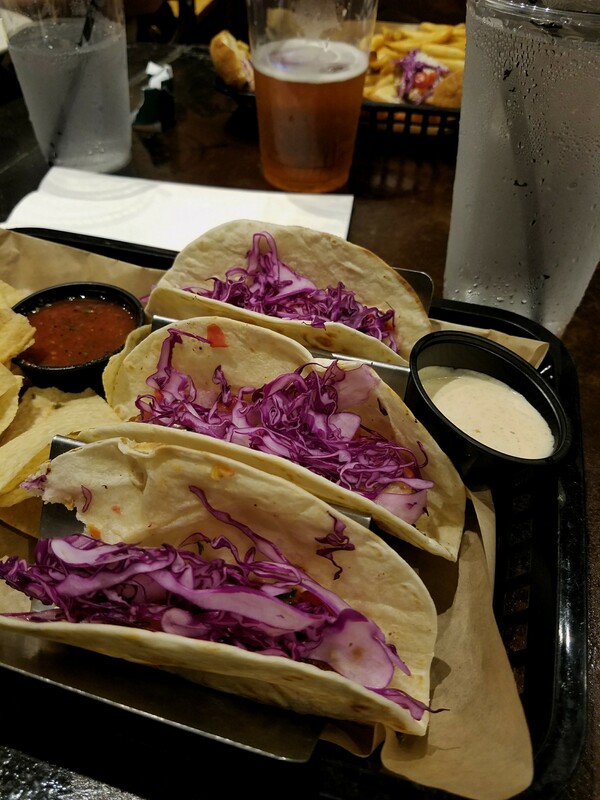 (It’s voted “Best in Florida” for a reason!) But, no disrespect to Kermit’s because that stuff is still goodness on a stick. So that, ladies and gents, was my long-overdue trip to the Florida Keys. Overall, it was a fantastic weekend getaway! 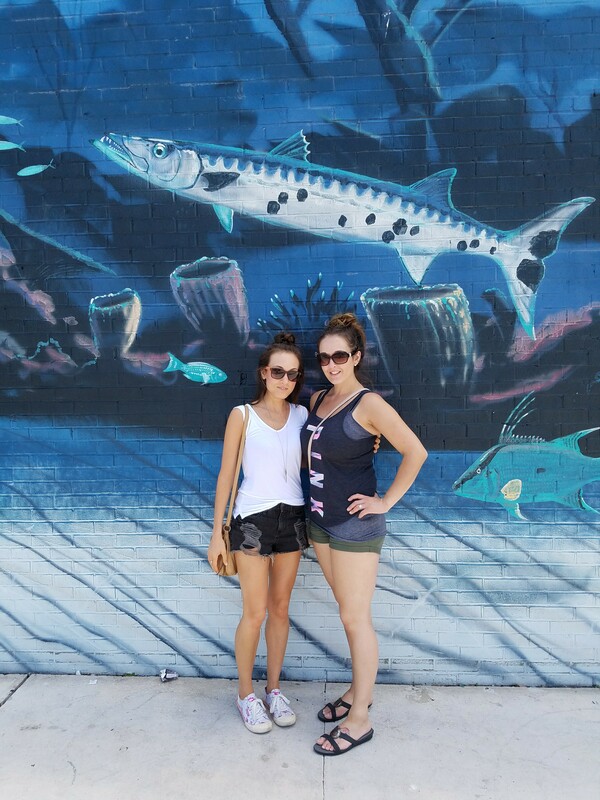 We got a taste of the island life and a chance to explore the full length of the overseas highway. And, while I am all about crossing things off my bucket list, it’s never just about the list – it’s about truly living the experience. I’m 100% certain we did! And, guess what? I’m already plotting out a second trip. Possibly solo. Definitely soon. 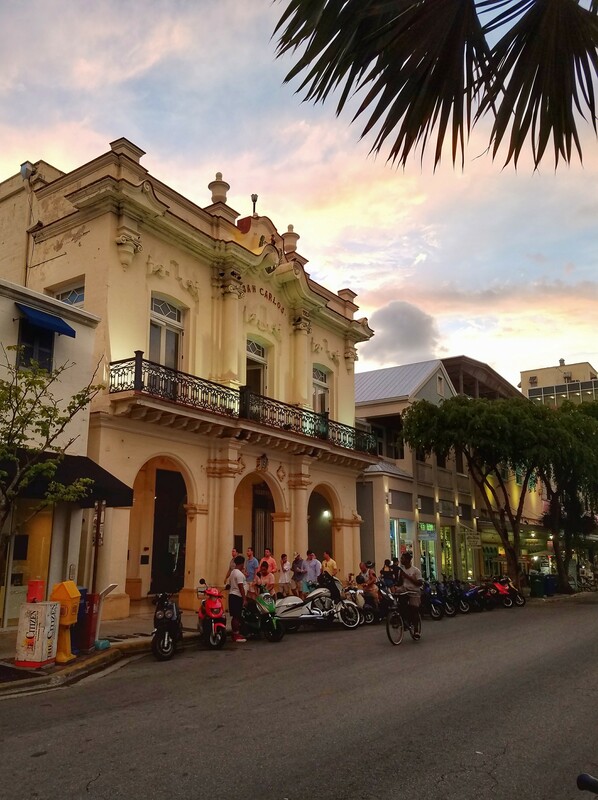 Have you driven to Key West? 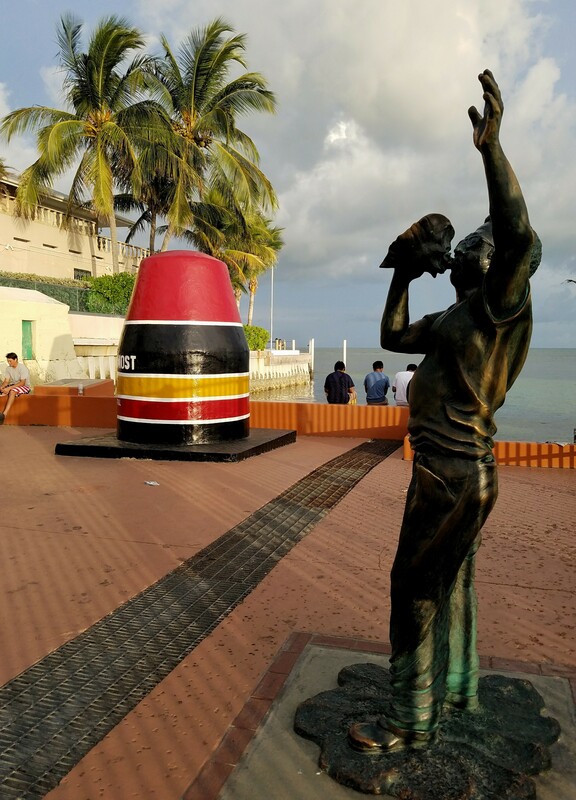 Which spot in the Keys is your favorite?